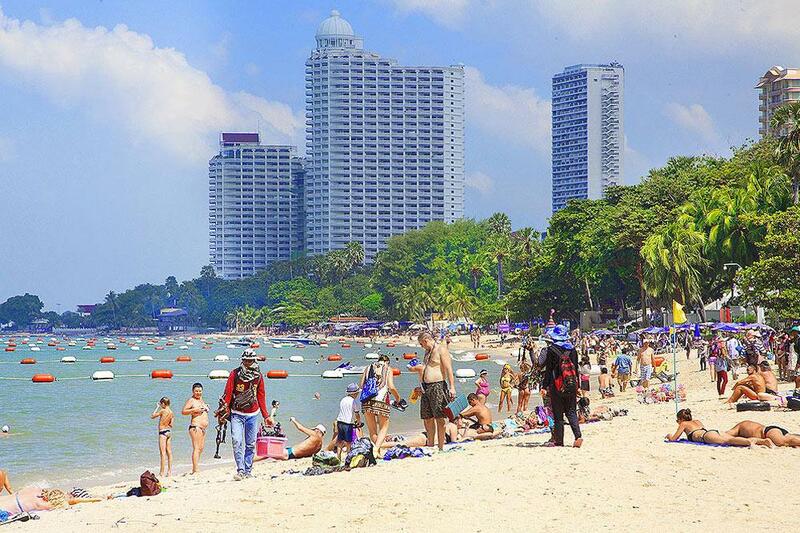 From bustling areas with water sports and seemingly endless dining and entertainment options to laid-back, secluded family favorites, there’s a beach for everyone in Pattaya. Running along the city center, the 3 km-long Pattaya Beach is a fairly narrow stretch of beach flanked by restaurants, hotels and shopping malls such as Central Center Pattaya, which boasts more than 200 air-conditioned boutiques, fashion outlets, restaurants, cafes and bookstores. Just south of the Beach Road is the neon-soaked nightlife of Walking Street, where hundreds of bars and nightclubs compete for patrons after dusk. 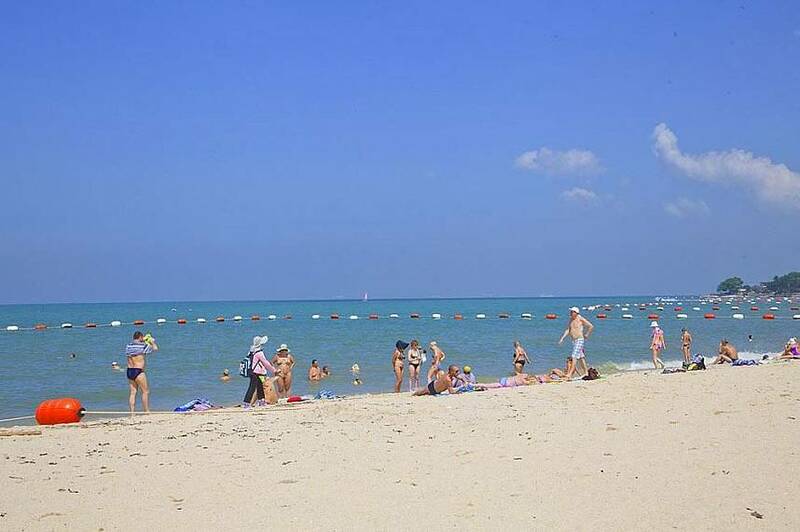 To the north, the kilometer-long Wong Phrachan Beach is popular with swimmers. 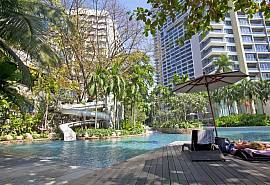 Separated from the main Pattaya Bay by Buddha Hill, Jomtien Beach is more peaceful and less crowded than its northern neighbour. 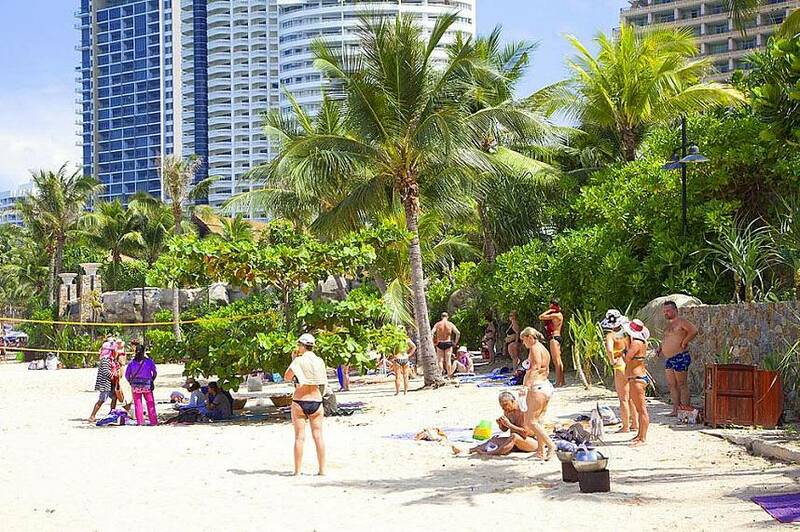 Stretching for 6 km, the palm-fringed, sandy beach draws a mix of local and international beachgoers. A wide variety of water sports are available here, but those not keen to make a splash scuba diving, windsurfing, paragliding or jet-skiing can simply relax in sun loungers while an army of roaming vendors supply everything from seafood, ice cream and fruit to massage, newspapers, DVDs and handicrafts. The open-air restaurants, bars and cafes that line the beach are famous for their fresh seafood. 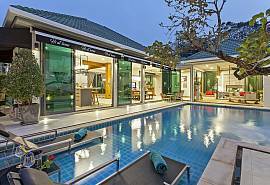 The relaxed ambience is wound up in the evening, with live music and entertainment. 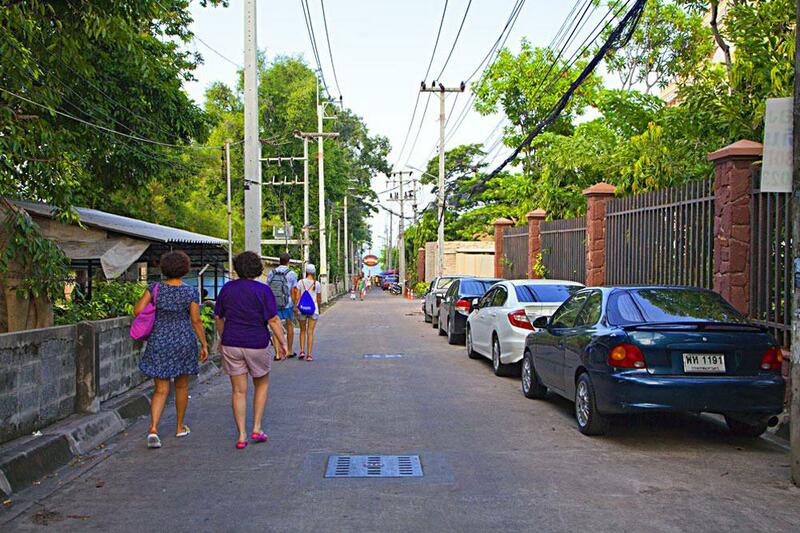 The nearest island, Koh Lan, is just a 45 minutes away by ferry or 15 minutes by speedboat. 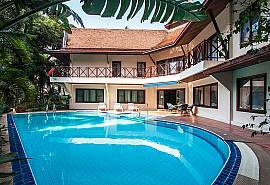 Just a few kilometers from Pattaya Beach, it offers clear water, stunning landscapes and is the ideal place to enjoy a sunset. A glass-bottomed boat service allows visitors to enjoy the abundance of marine life without getting wet. Those wishing for a closer look at the protected coral and its underwater inhabitants can choose to go snorkelling, scuba diving or even take a submarine tour. One of the island’s most popular beaches, Ta Waen has a 750m stretch of pristine white sand and clear blue waters. Besides swimming, beachgoers can jet-ski or choose to take a ride on a banana boat. A handful of shops and restaurants line the beach. 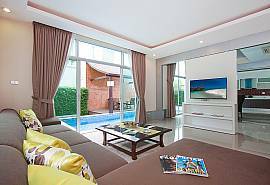 View our full range of Pattaya villas and Pattaya apartments for rent here.